Kurill Prime, Kurill II, and Kurill III orbit a binary star system. Our focus is on Kurill Prime as it is where the Vorta originated and make their home. Kurill is a beautiful planet abundant in natural resources, plants, and wildlife. Rich, verdant forests cover most of the continents, sparkling turquoise and sapphire blue oceans with black sand beaches outline the landmasses. 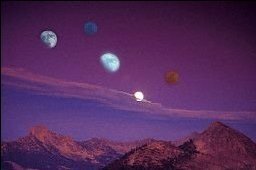 The planet is orbited by five moons: Rir, Dargas, Joernos, Einar, and Systana. The moons are habitable, but Kurill has more than enough room for its people. At dusk, the effect of the moons rising combined with the suns setting is a gorgeous sight. A Kurillian day is 23 hours long. There are five continents on Kurill: Cobinsen and Wyn'Vomir are located in the southern hemisphere, Taura, Orosinco, and Ani'jumar are located in the northern hemispheres. Each continent is divided in numerous provinces. Vante, Lareesa, Finchoric are the major oceans. Except for the poles, the entire planet has a fairly cool climate with mild summers and cold winters. Temperatures never reach above 27 degrees Celsius. Fauna are very cold-hardy. Since the Vorta first originated in the forest, they respect the land in general. They do not stripmine or over-gather resources. Aurakal Haunted Forest: An unexplored forest located in the most remote regions of Wyn'Vomir. The outskirts consists of sparse pine trees which lead into denser foilage as one travels deeper into the forest. Earlier attempts at exploring the area resulted in mysterious disappearances so no Vorta ever ventures far into the forest. 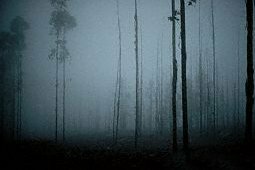 Looking at the forest, one can see why this is possible: the forest is shrouded in a perpetual fog and hidden in an unnatural darkness. Those who traveled in the vicinity of the forest have reported strange lights flitting around the area, heard weird sounds, or have felt eyes watching them. Hence, the forest is said to be haunted. The Aurakal Forest is the main reason that this particular region of Wyn'Vomir remains wild. There may be many undiscovered species of plants and animals living in the area. The only known inhabitants of the forest are feral Vorta, or zheshanibra, meaning "ones lost to the darkness." They are fiercely territorial and cannot tolerate normal light. A zheshanibra was once captured and held in captivity. He was studied only for a few weeks before he attacked a scientist and escaped. Little remains known about this Vorta subrace. 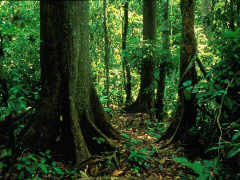 Ber'ladre Forest: The second largest deciduous forest located on Cobinsen. Famous for rare and unusual varieties of plants such as the Ber'ladre Forest rose. Ber'ladre Forest rose: Poisonous species of rose native to only the Ber'ladre Forest. The outermost petals of the plant are sapphire blue, gradually giving way to lighter cobalt, azure, cerulean, and finally to purest cream as it reaches the center. The blooms, measuring 8 cm in diameter when fully open, are supported by strong, straight stems with ebony thorns. Glossy, dark green, serrated leaves protrude from various parts of the stem. Long before the Dominion had seized control over Kurill Prime and its neighboring planets, Ber’ladre roses were renowned across the Gamma Quadrant for their rare, exquisite beauty and were the most prized and sought-after floral exports. It blooms only at night, becoming most attractive when all five moons rise in the sky for it gives off an eerie phosphorescence as well as a warm, rich fragrance. When the petals are dried, ground into powder, and combined with the proper ingredients, it can be developed into a lethal poison that--if ingested, injected, or inhaled--induces slow and inevitable organ damage and shut down that would lead to an excruciating death. A replicated plant has no toxins as the actual, natural-grown did. So far, scientists are still at work on concocting an antidote to counteract the deadly toxins produced by the rose; it is one of the few poisons to which no Vorta have immunity. Other races have no knowledge of this fact, regarding the flower only as an object of beauty. 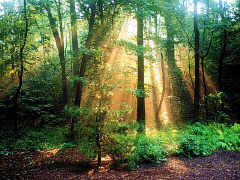 Garendria Forest: The largest deciduous forest of Kurill which is located on Taura. Home to a large variety of flora and fauna. The Changeling Veea is known to frequent there. kava nuts: Small nuts that have medium-hard, reddish shells, and semi-sweet golden brown meat. They can be ground to make flour, eaten whole, made into pies, and butter. A staple of the Vorta diet. Pelanora: A province of Ani'jumar famed for producing the most well-trained, gifted musicians in the world. Pelanora Concert Hall: A famous music facility in Pelanora, renowned throughout Kurill. In order to have a performance there, a musician must undergo rigorous auditions. Only the best perform there along with a variety of professional orchestras and special guest musicians. 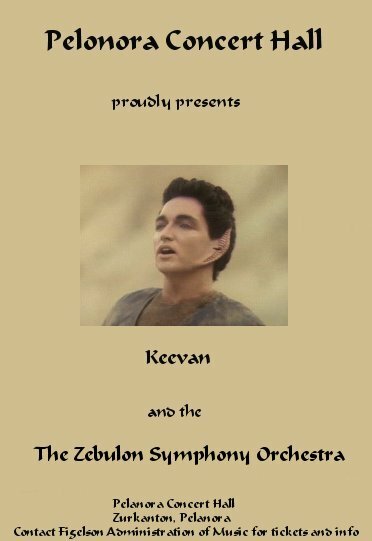 The original Keevan had such a privilege, performing as a soloist with the Zurkanton Symphony Orchestra. A copy of the original promotional poster was found in the archives of the Hall and brought back as a souvenir. q'lavas: A watery fruit that may or may not be poisonous to humans. Kilana's favorite. rippleberries: Sweet, juicy, blue-green fruits the size of large grapes that grow on vines throughout the forests. Domesticated versions are cultivated in large numbers and is one of the main agricultural exports. Used in drinks, desserts, jams, poultry dishes, and can also be eaten plain. It is a favorite staple of the Vorta diet. Sargathain Sea: A body of water off the west coast of the Orivlar province on Taura. 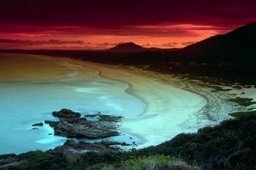 A very peaceful area with few visitors, it is known for beautiful sunsets, turquoise waters, and pristine beaches. The Telan Gri'Quar Mountain Range overlooks the coast. Xarkana Cliffs: Magnificent rock formations in the savannah province of Xarkana that are breathtakingly beautiful; they are best gazed upon at dawn, dusk, or when all five moons are full in the sky. The most peculiar feature is the 10 kilometer, half a meter deep "lake" that lays at the foot of the cliffs. Sriba trees are scattered around the area, firmly rooted in the rich soil of the lake that occassionally builds up into sandbars. 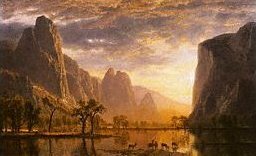 It is a favorite place for wiskal deer, stickler beasts, and other various wildlife to graze and water.